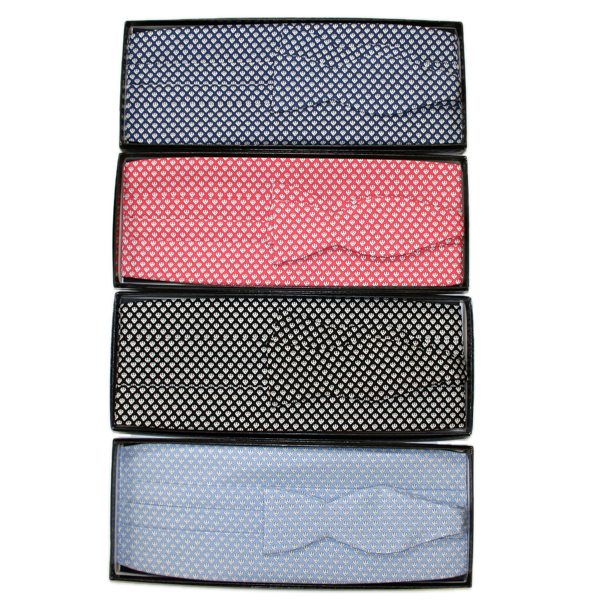 Vineyard Vines bow tie and cummerbund set. Available in light blue, navy blue, light red, and black , all with a white trident pattern. 100% imported silk. Hand-made in the USA.